DJ Hazard, Break, DJ CUe and DJ Marky & S.P.Y..
São Paulo based DJ Marky is a veritable superstar in his Brazilian homeland since the early 90s, gaining him several DJ Of The Year awards there before the end of the century. The release of his Brazilian Job album in 2001 (which followed his work with partner-in-crime Patife on the Brazil EP on V Recordings) was one of the biggest selling drum‘n’bass compilations of all time, with LK, produced by Marky and XRS reaching number 15 in the UK charts and getting him a spot on Top Of The Pops! 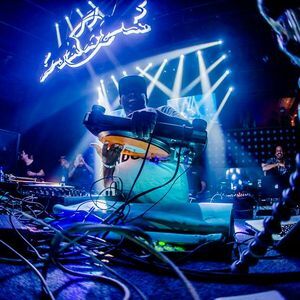 Still going strong more than a decade later, Marky keeps pushing the sound of drum‘n’bass in his hometown of São Paulo, determined to build the foundation for the local jungle scene. These days his reputation shows no signs of diminishing, continuing to attract enthusiastic masses wherever he plays around the globe. Good selection, needs better mixing! !